"At Healthsearch Pharma the practice of Medicine is an art, not a trade; a calling, not a business; a calling in which our heart will be exercised equally with our head." 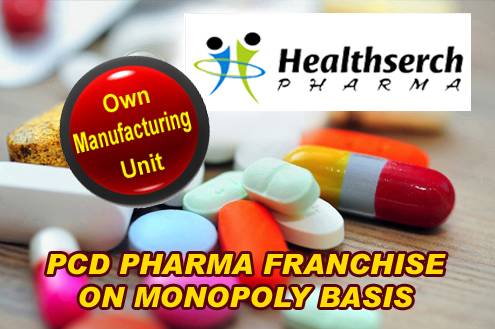 Healthsearch Pharma is An ISO 9001:2008 Certified Co. We take this opportunity to introduce ourselves as Marketers of Quality range of Antibiotic and general range of product, dedicated in the service of ailing humanity on their suffering. 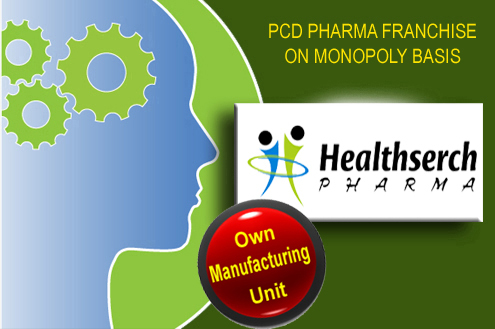 Our range of pharmaceutical specialties have been very well accepted by medical professional and fair business policies have earned on excellent reputation amongst trade circle. The company is backend by highly experienced production as well as analytical department. Our main aim is to give the best products with latest technology.The company was established in 2014 with only four products. Now the company is making more than 110 products including Tablets, Capsules and Syrups. During this period the company has introduced many new products including sugar-free syrups, sustain-released tablets.Further more, our marketing approach is result oriented, backed by professional sales personnels, business terms most pragmatic, and prices at par for our products with attractive Alu-Alu Strips, Blister packs with sober get-up.Besides this, We are also supplying visual aid, visiting cards, literature, stickers, order books, detailing notes & occasional gifts and many other additional things. We have our own manufacturing plants. Our state-of-the-art manufacturing facilities are located all over India with WHO-GMP approval and approval from other major regulators around the world. Health Search has dedicated manufacturing areas designed to maximize output quality and quantity with minimal down time. One such feature is the availability of a service floor above each sterile manufacturing area for providing the best manufacturing conditions and to enable the maintenance of the utilities without disturbing the sterile areas below. The manufacturing areas at Health Search Pharma are broadly divided into sterile and semi-sterile areas. All sterile areas are centrally air-conditioned and supplied by independent utility supply systems for individual departments. To Act In Partnership With Customers To Fulfill Their Needs And Exceed Expectations While Achieving Mutually Profitable Results.We Achieve This Mission By Placing The Needs Of Customer First; By Creating Quality Products And Services At All Level And By Fostering Continuous Improvement In Our People,Products And Processes. Integrity with our colleagues, customers, suppliers and ourselves. Passion about serving our customers. Innvoation and quality in processes , products and services. Confidence in the value of our products. Resilience in face of adversity. Change as a way of life. Hard work with excellence in all our efforts. Teamwork across functions and business units. Respect for all. By remaining loyal to our values, the members of the Healthsearch Community will grow and flourish as individuals ,citizens and as a company. We Strive To Improve The Qulaity Of Life By Serving The People Everyday Through Products And Services .